Sharing laughs with dear friends over delicious food is the perfect way to spend a Saturday evening in my book. Once a month, we do just that with our supper club. We got to host this weekend and it was a fiesta! I took French in high school and my husband speaks Italian thanks to a semester abroad, but those skills proved zero percent helpful for our letterboard. Our sign might not be perfectly correct, but what we lack in Spanish skills we make up for in enthusiasm! I'd been hoarding these Meri Meri paper goods for this occasion. The colors are divine! Festive cups added to the colorful tablescape and a giant pinata was too fun on the kids' table. Our supper club does dinners potluck style around a theme. This time we put together a nacho bar. I made queso and Dr Pepper bbq bacon brisket. I got some questions about my slow cookers on Instagram. I love them and you can find them here. Fortunatley supper club calories don't count! We introduced some of our guests to Topo Chico for the first time and of course it was a hit! We talked and laughed for hours around this table. Our friends suggested an "after" photo for the blog... so here you go! As much as I enjoy decorating and planning to entertain, it's the friendships that grow from these times that are the best part. Viva Supper Club! 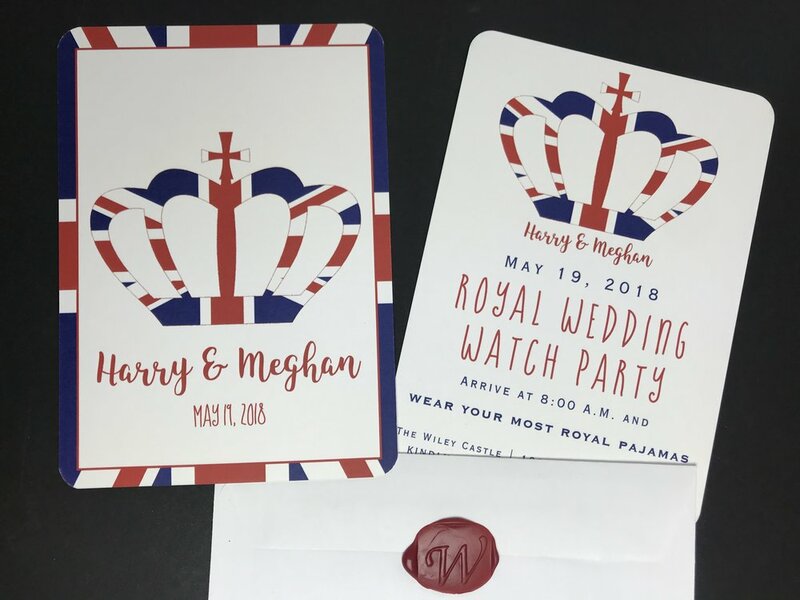 Today I'm sharing two details of my royal wedding party that are some of the most important of any gathering: invitations and favors. One sets the tone for the event, the other sends guests out the door with a smile. Online invitations are easy, but I always send a paper invitation in the good old mail whenever possible. I found these on Zazzle. I also love an opportunity for a wax seal. It adds a royal touch! My last initial just happens to coordinate with the House of Windsor. I love, love a party favor. For this event, guests went home with a little tea time for one. I tucked Walkers shortbread, tea and toffee into Union Jack cups. I wrapped them up in cello, lace ribbon, and a sticker, also from Zazzle. 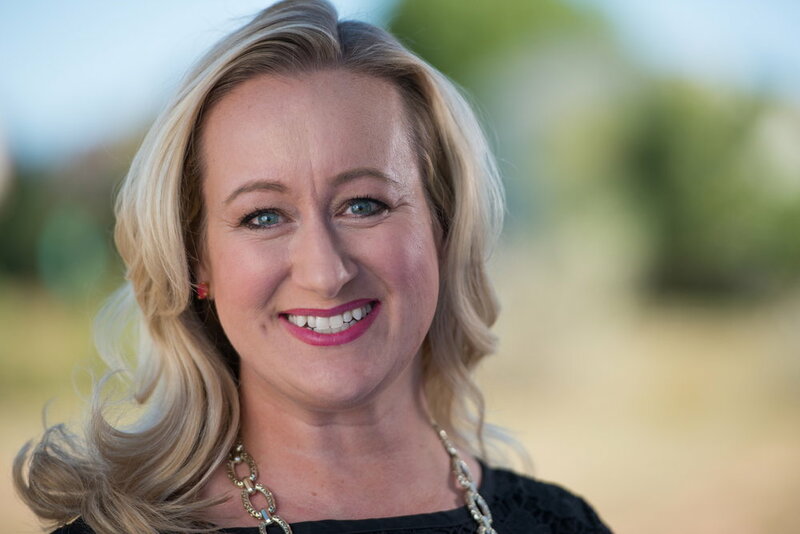 These are the types of details I love to plan as a hostess. I hope my guests have sipped their tea while remembering our fun morning together. I'm still floating around in a fairy tale dream after this weekend's royal wedding. It was just splendid! A few ladies came over to watch with me and my daughter and it made it all the more fun. Today I'm sharing the details of our little watch party. Dessert first! I ordered a simple cake from our grocer that read "Sparkle like Markle." It was delicious and completely worth the odd look I got while ordering... ha! I had leftover napkins from Prince William's wedding to Kate so I figured this was the day to use them. I put everything on a commemorative tea towel celebrating Harry and Meghan. Speaking of tea towels, my little display was made for this day! I had a whole box full of items from my last royal wedding party, so I had a great time pulling all those out and added some Amazon finds like this Harry and Meghan bunting and life-sized cutout of the queen. My Mother's Day flowers, a British tray, and some cookie tins decorated the breakfast nook. The early morning hour was perfect for a pajama party. My husband found these for me and I just love them so much. Guests were offered tea, naturally, along with orange juice and water. Of course I had the good old American coffee bar stocked as well. Breakfast included a variety of scones, raspberry French toast, breakfast casserole and fruit. I tucked some Trader Joe's flowers into teapots and had them throughout the party. I've had this carriage for years and sometimes take it to the florist so they can create an arrangment inside. I didn't get this done with my busy schedule, but a rose bowl full of flowers worked nicely. A little bunting added some Union Jacks to the viewing area. My pantry door was in on the action as well. I even decorated the fridge. This was an obvious occassion to wear my replica of Duchess Catherine's ring. I couldn't resist wearing it all weekend! We did a little bingo game during the viewing and the winner took home this book on the happy couple. I loved the wedding so much and it was the perfect occasion to entertain some sweet ladies in my life. I'm already looking forward to the day we celebrate another royal event!